State Senator and majority floor leader Brandt Hershman knows Zionsville’s schools are frequently recognized both locally and nationally for excellence in student achievement, and he wants the state’s funding formula to recognize this excellence, too. At a June 25 press conference in the Zionsville Community Schools Horace Mann Board Room, Hershman, alongside ZCS Supt. Dr. Scott Robison, announced his interest in a school funding formula change that would reward Indiana school districts for high student achievement. 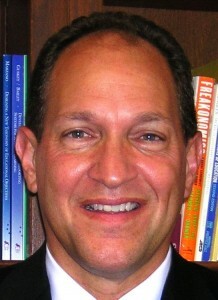 Robison expressed hope for the passage of such a change, which could benefit Zionsville’s schools. In a public meeting earlier this month, the Zionsville Board of School Trustees heard about Robison’s two foremost current priorities for the school district. June 25’s announcement aligns perfectly with the second of these priorities. “This is a very high profile statement about the need for funding formula retooling by one of the state’s most important legislative leaders,” said Robison.